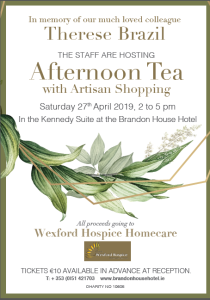 The Staff of The Brandon House Hotel are hosting Afternoon Tea with Artisan Shopping on Saturday 27th of April 2019 from 2-5pm in the Kennedy Suite in memory of their much loved colleague Therese Brazil. 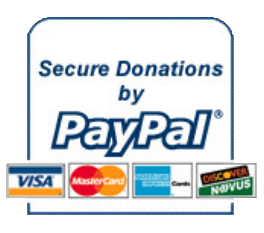 Tickets €10 available @ reception see attached poster. All proceeds to Wexford Hospice Homecare.